Prior to founding the law firm, Mr. Nestor served as Legal Counsel to the Romanian Consulting Institute Romconsult and as Legal Researcher with the Institute of Legal Research of the Romanian Academy in Bucharest. Ion Nestor has extensive experience of cross-border transactions and restructurings, and is widely respected for his expertise in the corporate sphere. 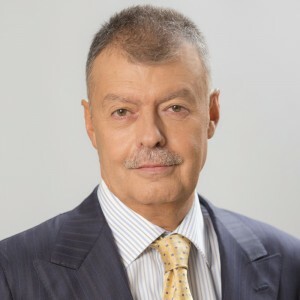 Founding partner Ion Nestor is a pioneer of Romanian corporate law, and remains universally respected for his expertise and experience in the field. Ion Nestor is “excellent in negotiations and opening discussions. He is the clear mind above all others,” says a client.